There is one aspect of my job that I love above everything else – meeting the men and women who valiantly served our country. It is a great pleasure to get to speak with veterans of WWII and D-Day, and an even greater pleasure to work with local veterans at events throughout the year. From Family Day this year where veterans lined the tent to share their personal history of World War II to those days when it would be one-on-one conversations, I value every minute I spend on site with these heroes. While this aspect of working is my favorite, it also lends itself to times of great sadness. 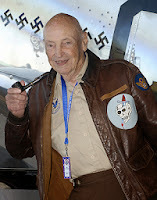 On December 29th, we said goodbye to a dear friend, P-51 fighter pilot Captain William (Bill) Overstreet. Born in Clifton Forge, VA on 10 April 1921, Bill Overstreet was a long time resident of SW Virginia. When WWII broke out, he applied and was accepted to flight school. Bill trained at a flight school in California, which he where he met Chuck Yeager, Bud Anderson, and Obee O’Brien, future members of his fighter group. 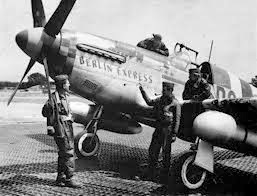 These men were all part of the 357th Fighter Group, which was noted as having more kills during the war than almost any other squadron. 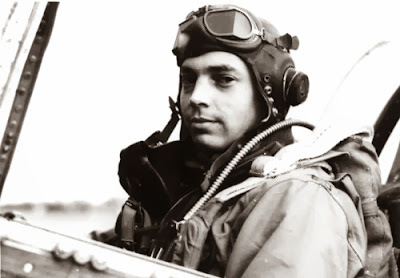 June 6, 1944 found Bill flying 20,000 feet above the ground as one of 11,000 aircraft used during the invasion. He spent 8 hours over Normandy before returning to England to refuel. You can read more about Bill’s incredible career at the sites below, but right now I want to take a minute just to share a few of my personal experiences will Bill on-site. The first time I met Bill was in February 2013 during our lunchbox lecture. He was one of four panelists who shared their experiences with a standing-room only audience. Now Bill always had a smile and his eyes were the brightest blue you had ever seen, and his heroics during the war are no secret (flying under the Eiffel tower during a dog-fight, flying over 100 European missions, being shot down twice, escaping his captors, receiving the French Legion of Honor, etc). 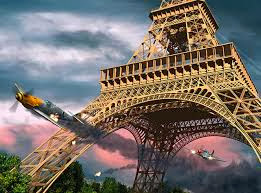 He would talk about his flight under the Eiffel tower, because he knew that is what people wanted to hear; however, he would always talk about the men who did not make it back. Men like Eddie Simpson, a fellow pilot who was killed-in-action when he and members of the French Resistance grabbed a machine gun off a truck and set-up in the middle of the street to fire at a German convey that was following their own convoy. 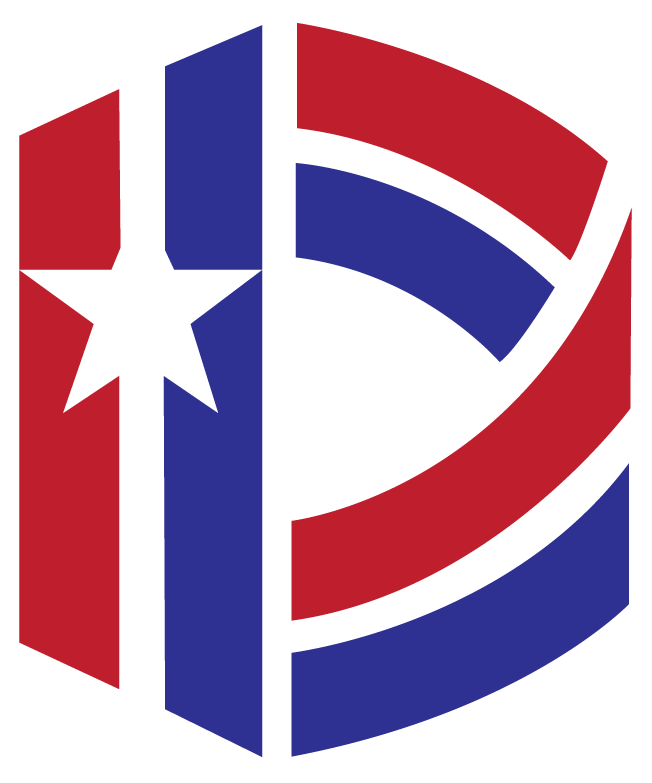 Their action allowed the other Resistance members and Bill to escape. Bill used his status to bring to light the men whose heroics paid the ultimate sacrifice during the war. The second time I was able to spend time with Bill was one-on-one. Labor Day 2013, I was working in the gift store and Bill had come up to spend the afternoon at the site talking to visitors. We had some downtime between chats were we were able to just sit and talk to one another. He would tell me about growing up in Virginia, his time in the war, his buddies during the war, and anything else he wanted to discuss. We had a wonderful time that afternoon, and some of the other volunteers and I were joking around, mostly at my expense. At the end of the day, he handed me a photograph of himself from the war and his plane, the Berlin Express, signed with the simple message of “Good Luck.” This is a moment that I will treasure forever. We all at the Memorial have special moments with Bill and he will be greatly missed.